Free legal information – to help inform about food law. A blog and other stuff to intrigue on important issues. help solve legal problems – which includes ‘Ask a Question?’ and personalised alerts. Artisan Food Law does the research because artisan and small scale food producers have better things to do. Industrial food producers command the resources needed to navigate food law. 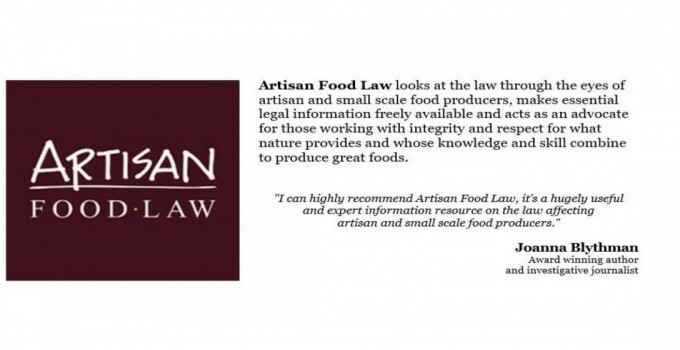 Artisan Food Law looks at the law through the eyes of artisan and small scale food producers, helps to redress the imbalance in resources and act as an advocate for those working with integrity and respect for what nature provides and whose knowledge and skill combine to produce great foods.